This month, let's celebrate Maine mystery writers and their Portland police protagonists. Name three of these authors as well as their fictional PPD creations. Send answers to info@mainelymurders.com (subject line: quiz). The winner will be randomly selected from correct entries. Votour of Beverly, Massachusetts, who correctly identified Jane Cleland as the author of the 11-book series that follows antiques dealer Josie Prescott in a small coastal New Hampshire town. Her entry was randomly drawn from correct submissions to win a $25 Mainely Murders gift card..
writing Scotland Yard inspector who appeared in 14 books from 1962 through 2008, was her most enduring character. By the time of her death in 2014, James and Ruth Rendell were the most popular contemporary writers of "traditional" mystery novels. 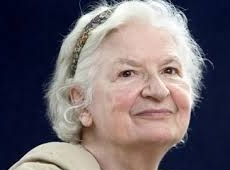 The Mystery Writers of America honored her as a Grand Master in 1999. 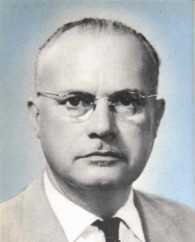 Robert van Gulik , author of the Judge Dee mysteries, was born August 9, 1910, in Zutphen, Holland. 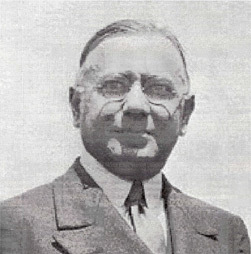 His work as a Dutch diplomat in the Far East led to his interest in Chinese history and culture. He wrote 16 novels featuring Judge Dee, a magistrate in China during the Tang Dynasty (600s). He died in 1967. Dorothy B. Hughes, one of the first women to write hard-boiled fiction, was born August 10, 1904, in Kansas City. Named a Grand Master by the Mystery Writers of America in 1978, she died in 1993.
journalist and mystery writer, was born August 15, 1954. His famous Millennium trilogy--The Girl with the Dragon Tattoo, The Girl Who Played with Fire, and The Girl Who Kicked the Hornet's Nest--was published after his death in 2004. Georgette Heyer , more often recognized for her Regency romances than her mysteries, was born August 16, 1902, in Wimbledon, Surrey. Her 12 mysteries, written between 1935 and 1953, are often cited as perfect examples of the classic country house mysteries. Clever dialogue was her forte. She died in 1974. Earl Derr Biggers was born August 26, 1910, in Warren, Ohio. He is most remembered for his creation of the inscrutable Hawaiian detective Charlie Chan, his attempt to counteract the then-prevailing image of the "sinister Oriental." He died in 1967. It's only mid-summer, but we're already hearing "the end is near" rumblings. It might be the "back to schoo l" ads. 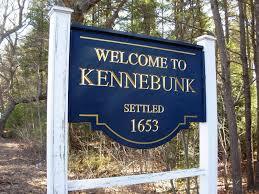 In any event, we're paying no attention--preferring, instead, to soak up the joys of summer in Kennebunk. Admittedly, July went by in a blur, but the fun here at Mainely Murders has hardly begun. Later we're planning a Crime and Cocktails gathering, a time to talk about mysteries, meet other mystery lovers, and relax with friends. We'll pull out the culinary cozies for some wicked good recipes (like lobster deviled eggs from Barb Ross' Mainely Clambake series) as well as our own Mainely Murders creations (mystery meatballs, blood-red mimosas, death by chocolate). Stay tuned for details. 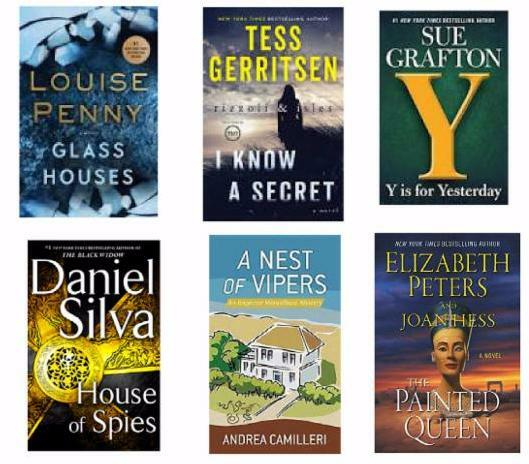 In the meantime, we're eagerly anticipating new releases from Sue Grafton, Tess Gerritsen, Louise Penny, Daniel Silva, John Connolly, Andrea Camilleri, and more. The late Elizabeth Peters, with help from Joan Hess, presents us with her 20th Amelia Peabody title. And, Portland cop-turned-crime writer, Bruce Coffin, adds to last year's debut, with a follow-up, Beneath the Depths. August is shaping up to be a great month for mystery readers. 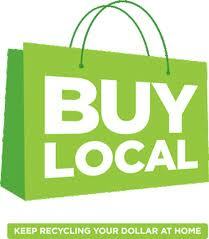 Join us Saturday August 12 from 3:30 to 5:30 to meet author John Corrigan, who, as D.A. Keeley, has created female U.S. Border Patrol agent, Peyton Cote. It's not easy navigating a male-dominated profession. Peyton must do it as a single mother, balancing her professional and private lives, in Maine's far north. About the series debut, Bitter Crossing, Mystery Scene magazine wrote: "The author paints a striking portrait of the northern Maine landscape . . . Peyton's strong personality and her unfailing courage should make for some intriguing future adventures." Right on! In Fallen Sparrow and Destiny's Pawn, the author has continued to reveal Peyton as a unique character amidst a most unique of backdrops. Books will be available for purchase and signing. Join us for an afternoon of crime and conversation. Just because books make it to our outdoor sale cabinet doesn't mean there's anything wrong with them. It just means we've run out of space. By placing books on sale, everyone wins. You get an inexpensive volume, we get valuable space, and the book finds a new home. So, check out those shelves, and do it often. We replenish them almost every day. At $3 each or four for $10, you won't find a better deal. Clearly, as evidenced below, Ann's been doing the lion's share of reading lately. It's summer and, according to Paula, she's busy "grounds keeping." After all, she is the gardener here. Wonder Woman packs women (and quite a few men) into theaters. With the market established now, maybe it's time for directors to take some action-adventure heroines more seriously. Maybe it's time for a Tess Chaykin movie or a Robin Jessop one. And maybe it's time for you to try one of their books. Only a few action-adventure series star or, more accurately, co-star women, but like Wonder Woman they have a slightly different slant. They generally focus on historical events/treasures that challenge the established order--the church, government, historical knowledge--and have protagonists with unusual, often highly specialized, background like archeology, bookselling, and encryption, as well as the more normal law enforcement. My favorites are Paul Christopher's Finn Ryan stories; Raymond Khoury's Sean Reilly and Tess Chaykin tales; and James Becker's two series, one starring Chris Bronson and Angela Lewis and the other starring Robin Jessop and David Mallory. Other authors may have women co-stars for one or two books, but these authors make woman an integral part of several books. My soft spot for the four Finn Ryan stories by Canadian Paul Christopher/Christopher Hyde is basically inexplicable. Brilliant and beautiful, Finn is also unbelievably young and her adventures don't always hang together. (Rather like some TV shows.) Still, they zip along, and she is the star. Khoury's three Reilly and Chaykin books are much better written and full of great historical information. The Last Templar starts with Templars and a mysterious treasure leaving Acre in 1291 as it is falling to the Saracens. Next four horsemen dressed as Templars ride their horses up the steps of the Metropolitan Museum of Art interrupting a gala honoring treasures of the Vatican. It rolls on from there, alternating between the past and the present day. One of my all-time action favorites as archeologist Tess and FBI agent Sean go after the very bad guys. All these women saving the world from conspiracies are required to travel to interesting, often unusual, places with little known histories. It's great good fun. If only I were not too old . . .
Agatha Christie, with its setting in an isolated tourist hotel in Norway, battered by a terrible winter storm and beset by a killer, turned us into devoted Anne Holt fans. Of course, as devoted fans, our path has not been easy. 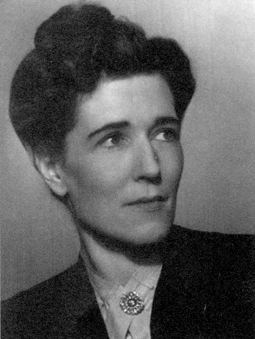 As with many Scandinavian authors, her first book to be translated into English was not her first. Alas, it was her eighth. Fortunately Holt's publishers then issued the translated books in order, starting with Blind Goddess (published in Norway in 1993). Fortunately, too, the British and American editions have the same titles, not always a given. Still, only with last year's Beyond the Truth did the series catch up with 1222. We shall mourn its passing as we hope some of the many people we encouraged to buy 1222 will also. But it's been such a good ride, so it is hard to feel too sad. Not always agreeable or a team player (to her cost), Hanne gave us so much pleasure as she fought against the darker face of Norway. 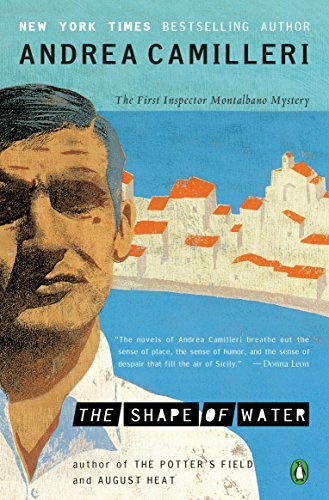 I'm still re-reading my way through Andrea Camilleri's wonderful Salvo Montalbano series. Hey, there are 21 of these books! And, I started with the first, The Shape of Water. I've slowed down a little. I started my marathon reading when the spring weather was cold and wet and I yearned for a place of warmth. The hot, steamy side of Sicily isn't nearly as appealing now that summer is here. Still, I find Montalbano, with his uncanny ability to get to the truth, as delightful as ever. I hope some of our customers will join me on this trip to southern Italy. No passport required. Q: If you were marooned on a desert island, which one author's works would you like to have on hand? A: [Paulal] That's easy. Agatha Christie. The woman was prolific, writing 66 mystery novels, plus short stories and plays. If I'm out on that island, I'll need a lot of reading material. Also, Christie is one of those writers that can be re-read and enjoyed. A: [Ann] Well, since Agatha Christie is gone, I'll go modern with Thomas Perry. It was a toss-up between Perry and Richard Stark, both of whom have 24 books*. I chose Perry because he is still alive and so can write more--perhaps new ones can be sent to the island--and has more variety. *Overall, Donald Westlake, who also wrote as Richard Stark, has many, many more books, but I pretty much only like the Stark books. Did you know that there's really an invasion of feral hogs coming up the East Coast from the South? It has reached the woods of northern Maine, beginning to impact the Maine Department of Inland Fisheries and Wildlife and most particularly game warden Mike Bowditch. Mike and his girlfriend Stacey, a biologist for the same state agency, are in the woods hoping to kill a sow and her piglets. Feral hogs are huge, often weighing over 200 pounds and are extremely destructive to the environment, tearing up whole forests and polluting streams with their waste. They also carry several diseases and parasites, which is why the U.S. Department of Agriculture has advised killing them on sight. Stacey quickly dispatches the two sows in the group, and when she and Mike go over to get a closer look they find the remains of an infant buried in the mud. Near the baby's body the initials KC have been scratched into the bark of a tree. Two days earlier, Mike had been at this very spot looking for the swine and neither the corpse nor the initials had been there. Returning to the area the next day, Mike talks to the owner of the local convenience store, Eddie Fales. Eddie tells him he knows everyone who lives in the area and that no one is living in the woods. He sounds convincing, but still Mike decides to drive a bit farther down the road and check things out. Just about at the end of the road there's a house, almost abandoned-looking but showing tire marks that someone has tried to brush away from the driveway. Calling the state police detective in charge of the case, he is told she'll send a trooper in the morning to look into who might be living in the house and that Mike should stay away in the meantime. But, Mike being Mike, he's not able to leave the puzzling question unanswered. 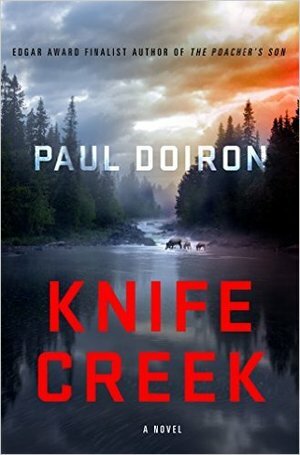 Thus starts the harrowing adventure that is Knife Creek, the eighth in the Mike Bowditch mystery series. Mike is a great protagonist, dedicated to his job, caring and compassionate to his friends, definitely not afraid to break a few rules when he thinks it's necessary. The latter is what got him into trouble early in his career, and it's something he's still dealing with--when to follow his superiors' orders and when not to. And in this novel there are plenty of occasions he decides to go his own way, for better or worse. 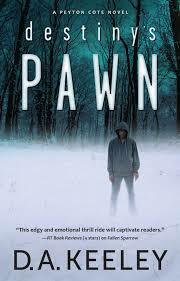 Paul Doiron has written another powerful book in this series, one that will keep you on edge until the very end. The setting, the plot, and the characters are all first-rate; of course, by this time I expect nothing less from the author. NOTE: Marilyn Brooks knows her stuff. Indeed, this fall she'll be teaching about New England mysteries at BOLLI, the Osher Lifelong Learning Institute at Brandeis University. Among the books included will be Paul Doiron's second, The Trespasser, as a representative of Maine mystery fiction.